News: Asahi Vending Machines offer Free Wi-Fi | Oyatsu Break! ZD Net is reporting that Japanese drinks manufacturer Asahi will be equipping 1,000 of its vending machines as Wi-Fi hotspots in the next year. Asahi Soft Drinks have unveiled a new type of vending machine: one that acts a free Wi-Fi hub. The vending machines, that will also dispense your standard drinks, will send out Wi-Fi signals to a 50m radius. The Wi-Fi will be free and accessible to anyone without a passcode or payment. From these machines it will be possible to surf for up to 30 minutes before you get cut off. It’s not much of a catch though, as users are free to log back on after their time is up. You don’t even have to buy a drink from the machine to get access to the network. 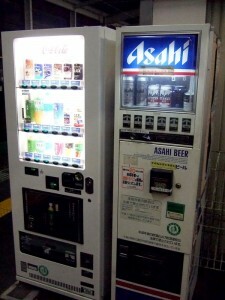 As of 2012 Asahi hopes to set up 1,000 of the new vending machines throughout five regions of Japan. The eventually goal is to increase the number by tenfold throughout Japan within the first five years. Speaking from personal experience, it’s next to impossible to find free Wi-Fi for your phone or wireless device in Japan. Even visits to “Wired Cafe” in Shinjuku (where we’re buying vodka-tonics for the pleasure of being able to use our phones) offered a confusing, limited, and ultimately broken setup… Very frustrating! Hearing that there’s apparently free Wi-Fi coming to 1,000, and ultimately 10,000, Asahi vending machines over the next few years? Music to my ears! 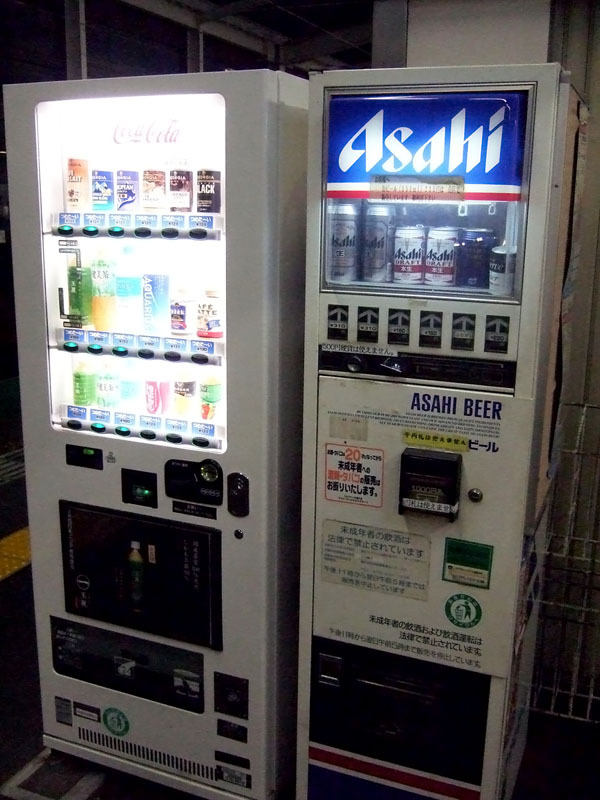 The Article also goes on to state that Asahi has around 250,000 vending machines around the country! While Asahi is only known in the west for their beer exports (Asahi Extra Dry!) they’re a huge drinks manufacturer in Japan, with sodas, juices, coffees, bottled water, even scotch & water and sake!